At the time, I researched the competing companies – Kodak, Snapfish and a couple others – and went with Shutterfly. As a graphic designer I'm pretty picky about how the finished book will look. I didn't want tacky, busy, clip-art backgrounds distracting from the images of my two little angels. :-) I also didn't want a too-slick, portfolio-looking black and white style. Shutterfly's process allowed me to customize just enough – fonts, background textures, etc. I begin by sorting through kajillions of photos stored on my computer and uploading the best several hundred. Then, using a storyboard, I drag pictures by occasion onto pages – 3 to 10 a page. Then the program will generate a layout for you. You can still change the layout to something of your own choosing, as well as crop each photo, delete, add, rearrange pages, add captions, etc. 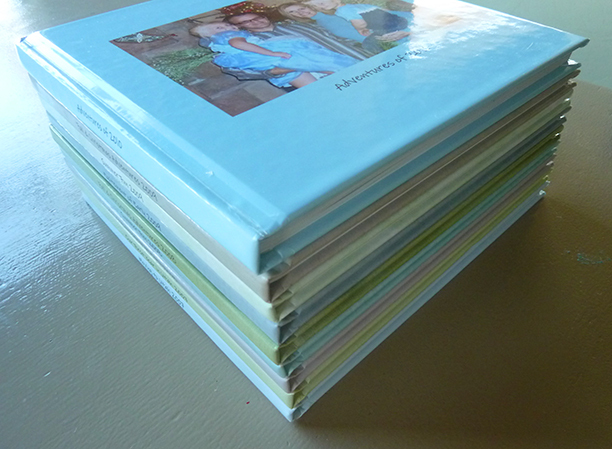 Pale blues, greens and neutrals, all in textures fill my backgrounds and I use the 8x8 hardcover format. 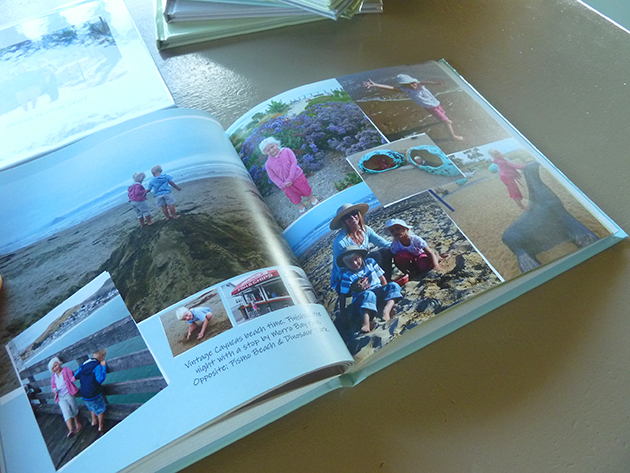 Last week the kids started school, and getting a book created of our 2011 adventures was high on my project list. Two years ago a friend suggested I try to fit one whole year into each book, so it doesn't get out of hand and in the long run will be more organized, make more sense and not require a moving truck for our adult children to transport. :-) For 2010 I managed it, but prior to that had 2-3 books covering each year. Oh, fellow moms, isn't it SOOOO hard to not include EVERY adorable photo of our darlings?! 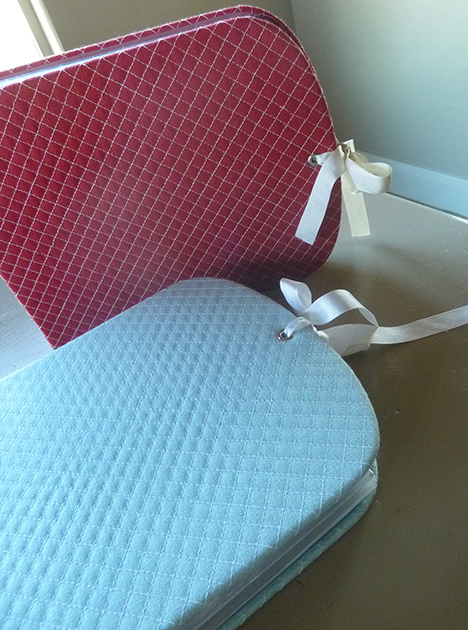 With these books comes that more hand-made creation. I hand-wrote on every page and felt like I fulfilled my mommy duty. :-) Even though I'm obviously an artsy-craftsy gal, I'm not excited about big scrapbooks for some reason. Too labor intensive perhaps. BUT, for my Baby's First Year, I did it! 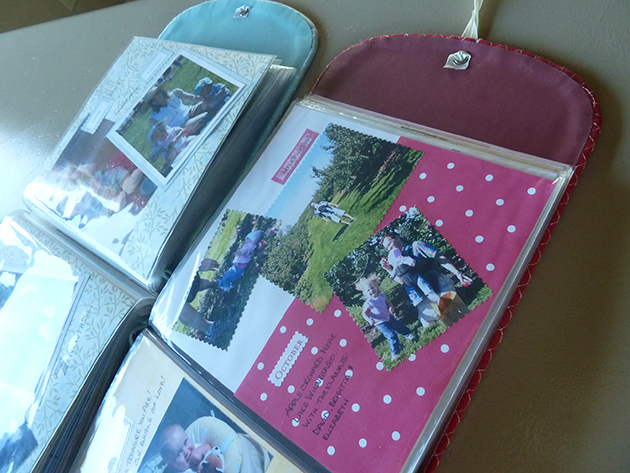 Hopefully I'll get my 2011 photo book designed just perfectly very soon! I'd love to hear about your experiences with memory-keeping photo books! Which company do you like best? 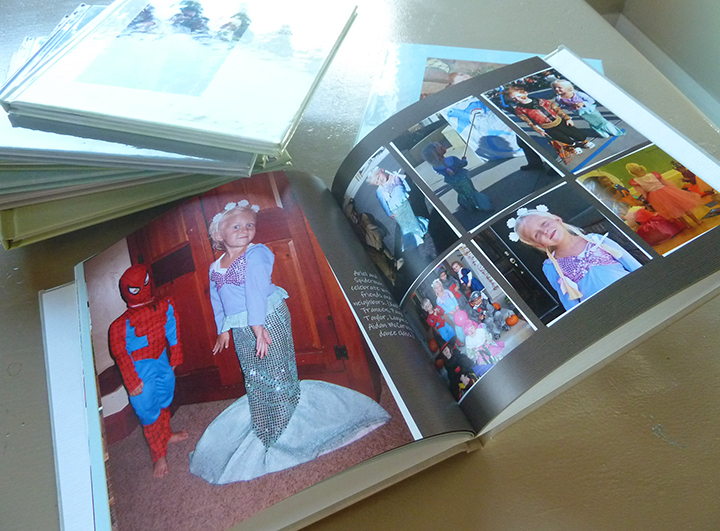 I love photo books, but haven't taken the dive to do a yearbook yet. I have too many pictures to go through!